This series will look at quotes from teachers and preachers past and present to examine some of their statements concerning how people can obtain salvation. Just what is the gospel? How does a man get saved from the penalty of his sin? You may get a different answer depending on who you ask, but the troubling thing appears to be that the clear Biblical gospel seems to be the minority view. 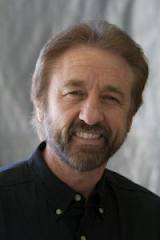 First we will look at Ray Comfort. He is known for his Way of the Master programs and his witnessing technique of using the law to show a man his need of salvation. I have taken the following quotes from the NeedGod website. I feel that this site typifies Ray Comfort’s teaching. Where does the Bible tell us to repent of sin in order to be saved? Since when does repent mean to “confess and forsake your sins”. Does it not mean to “think after” or to “change one’s mind”? Trusting in Jesus for salvation based on the gospel is good but one better not also be trusting in his supposed turning from sin. All the unbeliever has to do is change his mind believing on Christ alone for salvation. Payment was indeed made by Christ’s shed blood on the cross. However, how is it that this should be applied to a man’s account by works (repenting of sin)? Why is Psalm 51 a model for a prayer to obtain salvation? Furthermore, why is a prayer even needed to obtain salvation? What verse or verses in the Bible say that we cannot have salvation unless we pray for it? Is not belief the requirement? What “God cares about is the attitude of your heart”? No, what God cares about is that you are unsaved and need to change your mind and believe in Jesus Christ alone. This faith is based on who He is and what he has done on the cross for your salvation. The prayer given as an example of what a supposed sinner’s prayer should sound like is full of error and does nothing to help a person become saved. It instead may deceive a person into thinking he has obtained salvation. The only redeemable part is the phrase “I put my trust in Jesus Christ”. The rest is useless because repenting of sin saves no one, supposedly making Jesus Lord and Master saves no one, and asking for God to forgive you and give you eternal life is to confuse the matter of simple saving faith. The fact is that God freely bestows eternal life on all who believe anyway. There does not need to be a formal asking for it or a posture of penitence. What we see here is a common characterization of conversion by what are known by some as Lordship salvationists. We must always remember how precious the gospel is and should never allow anyone, no matter how well meaning they may seem, to confuse the truth and cloud the gospel message. Next up we will take a look at some quotes by one of the most popular Lordship salvationists, John MacArthur. I pray that readers will observe what I have written and study these things for themselves to see whether they be so. Please feel free to comment and remember that I will only allow posts that I deem acceptable. I will also not allow links to sites that I feel promote error. This entry was posted in Salvation and tagged Bible, Christ, God, jesus, Ray Comfort, Repentance, salvation. Bookmark the permalink. Thanks for the great post, Jim!, and for the warnings about Ray Comfort. Comfort is closely alligned with actor Kirk Cameron and with writer/conference speaker/LS Promoter Francis Chan. All three of them promote a judgmental radical form of Lordship Salvation teaching. As you point out above, their “gospel” is unbiblical and really puts a roadblock (many roadblocks actually) to people being able to come to salvation by grace alone through faith alone in Christ Jesus alone (Ephesians 2:8-9). Welcome to the blogosphere Jim. You have much to contribute to the cause of Christ and to the presentation of the gospel. Such good news, another blog to defend THE Free Grace Gospel. MUCH needed to expose the false gospel of LS. Good article, and I look forward to more. So happy you have started this web site. Your astute Biblically accurate comments at ExPreacherMan.com have proven you to be a Godly man interested in promoting the clarity and veracity of the free Grace Gospel of Jesus Christ. We will be praying for your efforts here. I think you are quite right John. I hope this site will prove to one of many that makes sure that the gospel is not hid to those that are lost. I appreciate the welcome Bruce. Yes, it appears that Comfort, Chan, and Cameron are bent on perpetuating the error of lordship salvation. It makes me wonder where they learned it from. Obviously it has been passed to them at some point. I hope this blog can serve as a resource for people to actually pass on the true “good news” to others. Sadly, grace for them becomes something other than its straightforward definition of unmerited favor. That means a lot coming from you. I will gladly take all of the support and prayers that I can get. I’ll be happy as long as God will get the glory from his Word being proclaimed. In defence of you with the above remark, it seems I have done the ‘unthinkable’ and have therefore been deleted and my comments unworthy of ‘debate’. So I thought that you, and all members of DTW, would like to know what my offence consisted of. Plainly and simply, I presented the Scriptures containing The Gospel of Jesus Christ that is believed by myself and all those at http://expreacherman.com/ and asked if DTW agreed with the Gospel or not. Presumeably the delete answers ‘not’. The Gentiles were only instructed to BELIEVE with no mention of ‘repentance’ or even remorse for their sins. Acts16:30’31 (The Gentile jailer asked) ”… Sirs, what must I do to be saved?” And they said “BELIEVE in the Lord Jesus Christ and you SHALL be SAVED! Unlike the Synoptic Gospels; The Gospel of John was directed specifically to BELIEVERS; and John didn’t make any mention of ‘repent’ to be Justified in his Gospel – because repentance, or any other sort of mythical ‘penance’ about sins is R.C. and NOT a condition to be Justified in The Bible. John20:31 31. But these are written, that ye might BELIEVE that Jesus is the Christ, the Son of God; and that BELIEVING ye might have life through his name. 1John5:13 These things have I written unto you that believe on the name of the Son of God; that ye may know that ye have eternal life, and that ye may believe on the name of the Son of God. I have noted your take on DTW but have chosen to edit out the last part of your post. The part of the discussion that I am glad to have is on the issues themselves. I am not interested in a discussion of them as a whole at this time. The fact is that many people visit and post on many blogs. There can be a range of commenters. The real important thing is that, in trying to be clear about the gospel, we attempt to minimize anything personal. They were gracious enough to allow me a few comments there so I will leave it at that. Anyone from there that wants to discuss an issue concerning the faith here may do so. That is as long as they attempt to do so respectfully and stick to the issues – nothing personally directed. I also will reserve the right to delete any links based on my own discretion. With that said I am open to discussion on relevant topics such as repentance, faith, conversion, or sanctification. I realize just in interacting with some there that there are likely things that I disagree with concerning specifically what repentance in salvation is all about and various issues related to sanctification. My philosophy of interacting with people that disagree with me is to treat them with the same consideration and kindness as anyone else. Christ’s love is unconditional and mine better be as well. Love does not mean that I will not stand for the truth. It however prevents me from acting in a way that would displease God. All of our speech as believers should be seasoned with salt and love. I have no hidden agendas or personal vendetta’s. I also have a very steady calm joy in the Lord and am not easily offended. I just want to be able to answer every man that asks of me a with a reason of the hope that is in me. From my counseling type perspective, I should really only try to help or advise those who want help. If after my intial comments a person wants nothing of my views then that is totally fine with me. I am also not going to go about from blog to blog to try and confront every error that I come across. One could spend a lifetime doing that. Good show JimF. What you decide is good by me. V.v. tired now – goodnight God bless you. God bless your heart, and with all MY heart I stand corrected and am extremely grateful for it! My late-night reply to you, although not meant that way, comes across as churlish and rather indifferent. I want you to know that I am totally; and absolutely in agreement with your comment and am sincere when I say I am grateful that you edited that which you judged to be as ungracious in my comment. GRACE is something I have been struggling in prayer over for the past few years. Since being on-line, I have discovered what I didn’t know about myself before, in that I am just as capable of being harsh and ungracious, all the things that I have disliked in others. Trying to remedy this with yet more words only makes things worse. Finally it dawned on me that bad company corrupts good habits, the only remedy is to keep away – just as Pearl on Exp recommended. The thing is, I can also be guilty of being ‘bad-company’ to others; then it’s best if I remove myself from corrupting the good habits of others when matters spiral downward. Being a ‘watchman’ of faulty doctrine is not the same as being a watcher over the personal faults of others – that is God’s domain, not ours. I have been doing a small study on this issue and at some point I may present it for correction? Vital is Christ’s un-conditional LOVE. It is better for me to take the blame for a wrong and allow myself to be defrauded 1Cor.6:7. Being unrighteous and acting in a way that displeases God means a loss of inheritance in the kingdom. My old ‘flesh man’, will always war against my ‘new man’ and as difficult as it is, this is God’s method of choice to bring me to maturity in Christ. By writing this, I am reminding my self to be obedient, to keep the commandments and work for the reward Jesus wants me to have at the Bema ready for the Kingdom and Eternity. Salt stings like crazy in a flesh wound! I found that out when I forgot about a sore on the top of my leg and nonchalantly waded into the Dead Sea in Israel – man alive, did that ever sting – and God’s Word is like that when it rubs against our old sin nature. Far better to walk in the Holy Spirit who cleanses with living streams of water that is Jesus! 1John1:9. With all my faults, I want to reassure you that I do not have an agenda, hidden or otherwise, or any vendettas. I rarely take offense; at least I don’t think so, I do get hurt to the point of sobbing but that’s mostly with family. What I am guilty of is having a passion to help when help isn’t called for. I am grateful that you have been willing to help, and not hinder, those unwittingly caught up in LS philosophy. Although this is a true scenario reported in Scripture, perhaps we are not told the WHOLE story; rather, being given a synopsis. Obviously, the jailer had some understanding of sin and judgment…otherwise, FROM WHAT did he need to be saved? This is my understanding from my own studies. I look to JimF for correction. 1)Acts16:25 And at midnight Paul and Silas prayed, and sang praises unto God: and the prisoners heard them. Paul and Silas were witnessing of God through song instead. It seems reasonable to me that they were singing the Gospel of the life, death, resurrection and ascension of Jesus Christ. Acts 16:31 And they said, Believe/PISTIS on the Lord Jesus Christ, and thou shalt be saved/SOZO and thy house. Pistis a verb (you do it now) even hints at a change of mind. The traditional definition of PISTIS is to receive Knowledge, to Assent (say yes) with Assurance and Trust with the mind/soul – kardia, not the emotions. MacArthur chose to reinterpret pistis based on the faulty scholarship in a Greek Lexicon. It suited him to alter the definition to fit with his preconceived ideas of Lordship ‘salvation. That aside, the following verse makes it very plain that Paul and Silas explained all the Jailor needed to know to be saved – sozo! 2)Acts16:32 And they spake unto him the word of the Lord, and to all that were in his house. The whole story is complete imo. Paul had to first prevent the suicide of the jailor ‘sir stay thy hand’ – before he could give further information on what he and Silas had been announcing in song previously. Over to FredF – I am here to support and to learn from the Biblically skilled! Re.Acts16:31. I believe this concerns a typical Lordship Salvation comment. I was being instructed to ask this of Jack and John, by John Ch on 13-1-2013 at DTW. Quote: “Incidentally, even that verse is preceded by the Jailer crying out “WHAT MUST I DO TO BE SAVED”. What caused him to realise he needed salvation? Salvation from what? For him to cry out like that would indicate a conviction of sin and the realisation that he needed salvation.” End quote. With your consent, my reply would be as follows. In this IMMEDIATE context, sozo refers to being saved from PHYSICAL danger. JCh“What caused him to realise he needed salvation”. This is an assumption that spiritual salvation is meant, failing to recognise it is the context that determines which ‘sozo’ is being used. The jailer had just experienced a massive earthquake freeing his prisoners from their chains. These men were now free to torture him to a long, slow death. He knew he would be killed for failing in his job which is why he had wanted a quick death by his own hand. Falling debris, freed, dangerous prisoners, execution pending, attempted suicide – all caused the jailer to realise he needed to be sozo PHYSICALLY. There is no evidence to suppose he felt a ‘conviction of sin’ in the realisation of his need to be saved from this nasty, and very physical, situation. The jailer meant sozo from physical death, but Paul was ahead of him by bringing The Saviour, Jesus Christ to his notice who would Eternally sozo him, and his household, if he only BELIEVED. Concerning Acts 16:31 I think I am basically in agreement with you. We can’t be exactly sure what Paul and Silas were singing however we know that they took the opportunity to share the gospel and God’s Word with the jailer and his family. I think that it is safe to conclude that the jailer likely wanted deliverance from his situation which was more physical in nature but that Paul and Silas took it as an opportunity to share the gospel. As you pointed out, they did share God’s Word with him and his family in the next verse. The result was that they believed. Everything they would have needed to know would obviously have been explained to them by Paul. The end result was that they believed and were saved. “The jailer meant sozo from physical death, but Paul was ahead of him by bringing The Saviour, Jesus Christ to his notice who would Eternally sozo him, and his household, if he only BELIEVED. I am sure that in sharing the Word of God with them that Paul made everything clear. This would have included the fact that they were sinners in need of salvation. Did our responses answer your question? I look forward to following your site! Exciting & refreshing to read the TRUTH for a change. I finally came to the conclusion that there needed to be another voice of truth in the online wilderness. Hopefully this site will serve to encourage believers. I also welcome comments. My philosophy is that it is the users that can truly make blogs special. In regards to above observation “where does the Bible tell us to repent of sin in order to be saved?”, it does say in Mark 1:15 (ESV) “… repent AND believe in the gospel.” It doesn’t say believe ONLY. Whether or not repentance is required isn’t an issue I see Ray Comfort trying to raise, but it is an issue being raised by this site. Even if assumed that repentance is not required for salvation, I still don’t see where it is a bad idea in sharing with a lost person that they should repent AND believe. Is it possible the posted comments on Ray are a little over-critical and unnecessary? If not, then why not also be critical of Jesus telling the unsaved “repent AND believe” in Mark 1:15 (ESV)? Was Jesus guilty of adding a works (ie, repentance) to salvation when he made this statement? Another overly critical example from the above observations is the statement, “What verse or verses in the Bible say that we cannot have salvation unless we pray for it?” Ray isn’t trying to make an issue of whether prayer is needed for salvation. If you have an unsaved person in front of you that is willing to hear you share the gospel, is it really that terrible a thing to try to lead them in prayer? Ray knows the prayer itself doesn’t save. The prayer is simply a way to help the unsaved person express the belief being placed in Christ. Just because Ray lead a person in a prayer doesn’t mean he has made an assertion that a prayer must be utilized in order to be saved. I have never heard Comfort, MacArthur, Chan, Piper, or Platt ever teach that teach that any type of works are required to gain or maintain one’s salvation or they would have immediately lost all credibility with me. I hope you are open to the possibility that too much is being read into the selected quotes from these teachers without the context of their fuller teaching. None of us have perfect doctrine. In the big picture, we are on the same team. I personally am a Calvinist, but I am not prepared to call those that follow the doctrinal statement on this site or those with an Arminian viewpoint as promoting dangerous doctrines. I disagree with them and think they are missing out on a fuller understanding of the Bible, but they think the same of me and that’s okay. Just like you, MacArthur, Comfort, Chan, Piper, and Platt ALL ultimately believe it is by grace alone through faith in Christ alone that people are saved. Having the benefit of hearing all these guys preach at length, I know you would be putting words in their mouths to suggest otherwise. They may not track with you on every point of doctrine related to salvation, but none of us really understand the fullness of that mystery … “The wind blows wherever it pleases. You hear its sound, but you cannot tell where it comes from or where it is going. So it is with everyone born of the Spirit.” The guys targeted in this series and the related posts aren’t preaching another gospel. Let’s give them some grace. Thanks for making it clear from the start that you are coming at this from a Calvinist’s stance. I fully expect Calvinists to be at least somewhat supportive of people like Ray Comfort. Let me try to answer you questions and comments the best I can. Subject Repenting, not repenting, etc. : The people who heard the preaching of Jesus. Object of that repentance: Repentance here is presented appositionally to belief in the gospel That is, saving repentance is simply believing the gospel. Because Jesus had not yet died for the sins of man, the hearers of His message would only be responsible for believing a lesser level of progressive revelation about Jesus. In this context, that content of faith would probably be simply that Jesus was the promised Messiah. This has to do with definition and context. The usage of the word repentance does not automatically mean turn from sins and never does in relation to obtaining eternal salvation. Ray Comfort many times stresses very strongly the need to repent (turn from sins). The reason this would be bad is that forsaking sins or turn from sins is not what saves. Faith is what saves so long as it is place in the only saving object of faith – Jesus Christ based on his atoning work. I fully understand that at the moment of conversion there might also be conviction of sin, emotions, desires to start living better etc, but all of those things are not part of what saves. On that the Bible is clear. We are saved by grace through faith and faith is always the only condition. It is not faith plus anything else. Praying with someone after they trust Christ or even letting them the opportunity to express the trust verbally is not bad necessarily but they must understand that they are not begging for salvation. They are receiving it by faith. Plus they need to understand that the prayer itself plays no part. A person can trust Christ the moment they hear the gospel before they even pray or say anything. As seen above, Jesus was not adding works because He wasn’t meaning repentance as in turn from sins. I’ll add more of my response in another comment for sake of length. You said that Ray wasn’t making an issue of the prayer. Certainly to me he was if he went to the trouble of saying what it needed to sound like. People don’t say that unless they think it is important. This is false. How can an unsaved person have an attitude of heart that will please God? They need to believe and be saved first. Now this is worse even than some who just say you have to be willing to forsake your sins in general. That is wrong but he takes it a step further and has people name specific sins! Where is that the prescribed method of obtaining salvation in the Bible? Paul told the Phillipian jailer to believe. Abraham was justified by faith. Likewise making Jesus Lord and master is another gospel. It amounts to Lordship salvation. It is kind of like what some call a bilateral contract. I offer my allegiance and submission with promise of willingness to obey and you offer back to me eternal salvation. That is simply not how it works. It is much simpler. Many Lordship men add in elements discipleship, of forsaking, and taking up the cross to the gospel. All the while, mind you, still claiming that salvation is by grace through faith. In regards to their fuller teaching, I will say that these ideas continue to flow throughout. I have listened through many of Comfort and Cameron’s Way of the Master videos. There is 100 percent no mistake that they advocate Lordship salvation. I have also read books from MacArthur and heard enough of his messages to know what he teaches. I even carried around a MacArthur study Bible years back. I have read books or listened to sermons of the others as well. I am very well aware of their basic overall message. I am not just going of a few choice quotes. These quotes typify their overall message. Also please see my post on Idleman and Platt’s books. These are two examples of discipleship gospel advocates. All these are ways that these guys add in works all the while still saying it is by grace through faith. These guys do not get grace for preaching another gospel because it is clear that they do. Now they may receive forgiveness of the Lord but it is not mine to give. I am responsible to call it as I see it and I need to warn others to these guys deception lest they fall prey to their subtleties and deceptions. Some of these guys might be saved but I don’t know. I do know that they now teach a false gospel. Many also use that to justify error. It is one thing to be a bit less than perfect and another thing to teach a false works oriented message of salvation. If you want good doctrine you have to get the gospel right first. Let’s be clear that I also disagree with the Arminian view. If you as a Calvinist disagree with the Arminian view then call it out for what you see it as. Right, there is always the dynamic of one side thinking less of the other side’s positions but you let the Word be the measuring stick and see where things lie after that. The Word is the only foundation on which I can warn other of these men’s errors. I know that not all of their errors are intentional but deceived people do deceive others. That is just the nature of it. I hope you think over what I have said. If you know that you are a sinner and will repent, (change your mind) and trust Christ alone to save you based on Christ’s sinless life, death, burial, and resurrection then you can be saved from damnation and know it 100 percent from now till eternity. No works now or ever can bring it about or cancel it. Eternal salvation is totally God’s free gift of grace. It is heartbreaking to me to see such great men of God lumped into the category of damnable false teachers. Where you see them being so off-base as to be preaching another gospel is something I cannot grasp. No matter how clearly or often they state grace alone by faith in Christ alone, various posters on ExP have a way to box them into teaching something else. I suppose in sharing the Gospel, you forbid yourself from ever leading a person in a prayer for fear some other ExP poster will then forever pigeonhold you as requiring a prayer to be saved. There is nothing evil about leading someone in a prayer. The prayer itself doesn’t save. It is just a way to help the person express the faith they are placing in Christ, but apparently according to ExP … Ray Comfort must be evil because he prays with people in his efforts to reach them for Christ and therefore that MUST mean he thinks a prayer is required. Rubbish. He is fairly accessible. Why don’t you email him and ask if he thinks a prayer is required than attempting to read his mind? You give yourselves all kinds of opportunities to clarify statements you make on ExP … why not give Ray the same opportunity to clarify if he intended to teach a prayer is necessary to be saved? Given I am somewhat a student of his, why didn’t I get the lesson the way you claim he intended? I don’t believe a prayer is necessary, but that’s not possible because ExP said Ray teaches a prayer must be part of the salvation process. How can this be? What is your measure for a “little less perfect”? It seems to be anyone who isn’t in lockstep with your narrow view is a dangerous false teacher. I don’t see a lot of grace here. You are WAY outside my view in some areas of doctrine, but I am not arrogant enough to say you are a false teacher promoting another gospel. I could just easily similarly say about you from my Calvinist perspective as you did about MacArthur/Comfort/Piper/Platt from your perspective that it is my responsibility “to call it as I see it and I need to warn others” about guys like you, but I think we believe in the same gospel. Why? We both believe in the same God. We both believe in the virgin birth. We both believe repentance is necessary and that repentance is not a required work for salvation. We both believe salvation is by grace alone through faith in Christ alone. We both believe Christ died for our sins and rose from the dead. We both believe in the Trinity. We both believe we should reach the lost with the gospel. We both believe Christ is returning. If you look at the big picture, we are talking about the same gospel. Similarly, I think I have all the same in common with most Arminians. I’m happy to have discussions with people with your view or with Arminians to discuss and attempt to persuade on differences, but if I don’t win you over at the end of the day, I don’t have to then label you as false teachers that will damn people to hell if your teachings are followed. We don’t have to be in lockstep on every detail as long as we haven’t violated essentials of the faith. So an Arminian doesn’t believe like I do as a Calvinist that God first unilaterally chooses to regenerate a person’s heart (ie, new birth) before that person places their faith in Christ … so what? They still believe the person has to place their faith in Christ in order to be saved so at the end of the day it is the same outcome. Come on … In essentials, unity. In non-essentials, liberty. In all things charity. You are trying to turn a non-essential into an essential by doing things like insisting a person is trying to make repentance an added work requirement despite them so clearly teaching no other works are required and even though ExP own doctrinal statement acknowledges repentance is essential in salvation. I could use the ExP tactic of reading into the ExP doctrinal statement by insisting that ExP acknowledging that repentance is essential means ExP is claiming repentance is a required work. I could use the logic that if it is “essential” that implies it means it is “required” otherwise it wouldn’t be “essential”. No matter how often you try to clarify what you meant, I can just tune it out and keep harping on selected statements that seem to support my insistence that ExP meant something other than what ExP intended. That’s the exact tactic you are employing on guys like Ray Comfort and others. I am not a theological liberal. I want genuine false teachers called out. I’m passionate about getting false teachers out of the church body. Do not take my willingness to give some liberty for other Christians to hold different views on non-essentials as being soft on those that have truly crossed clear lines into another gospel. There is no shortage of influential false teachers who have crossed these clear and dangerous lines. Your efforts would be much better put to use on such false teachers. (It breaks my hear that they change the gospel and that people are affected by it adversely). (A person needs to first understand and believe the gospel. It is a straight and narrow path. Salvation is obtained by grace through faith alone in Christ alone. These guys get the gospel wrong and that speaks poorly on their underlying theological framework. If Calvinism is one of your cornerstones then you have a bad foundation. I had a friend once say that “Calvinism is the gospel.” I thought well, Calvinism is false in all five points so therefore what he was really saying to me was that he believed a false gospel. Thanks for mentioning that John. Hopefully he read that post. The whole chapter on repentance in that book is an all out dogmatic attempt to refute the true meaning of repentance. You either believe what MacArthur is saying there or you believe what John and I are saying. The two views are mutually exclusive in that they cannot both be correct. I think the problem here is massive sentimentality. … my feelings about him, (his personality etc) have usurped truth. we DO mark those who walk contrary and don’t walk straight according to the gospel. I honestly believe that, even in the case when they are saved & even people get saved despite their heresy, all they DO is acursed/ anathema/ devoted to destruction… & our making it clear and standing for the truth is a signal to them… get ready for a gas mask at the Bema! Why did Paul not “go alone” to his brother (as with other sin)??? I am so glad to see you have already written on this, it had ‘related blogs’ below the other. I will be thankful to have this to use. What are your thoughts on 2Peter 3:9? Is see that verse clarifying that God is long suffering not willing that any should perish eternally. This is partly why he has not returned yet. See also Acts 17. Repentance there is also synonymous with faith in essence.